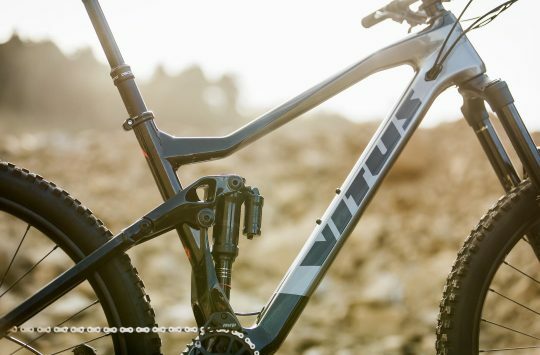 “Although it’s not illegal to sell e-bikes, we believe the current status is confusing for our customers and therefore we have temporarily suspended the sale of e-bikes in Northern Ireland until this matter has been fully resolved. We are also happy to offer existing customers who have bought an e-bike from Halfords in Northern Ireland a refund”. The Police there have warned of fines and penalty points for people caught riding ebikes without insurance, helmet, etc. You can use an e-bike anywhere that you’re able to ride a regular bike, and you only need the same safety equipment you’d wear on a normal bike, too (unless you are in Northern Ireland*). Northern Irish law will apparently come into line with the rest of the UK, making ebikes legal there, and the legislation to achieve that is being drafted right now, but no laws can be passed until the current political impasse at the Northern Ireland Assembly is resolved. 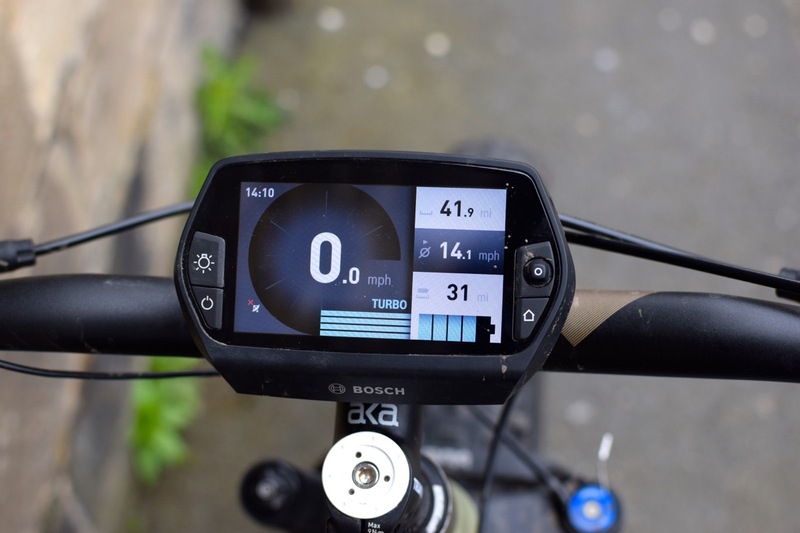 Display shows all the important Ebike data. “– Note that this is about USE of e-bikes, and the requirements above are for the buyer, before they can legally use the bike. 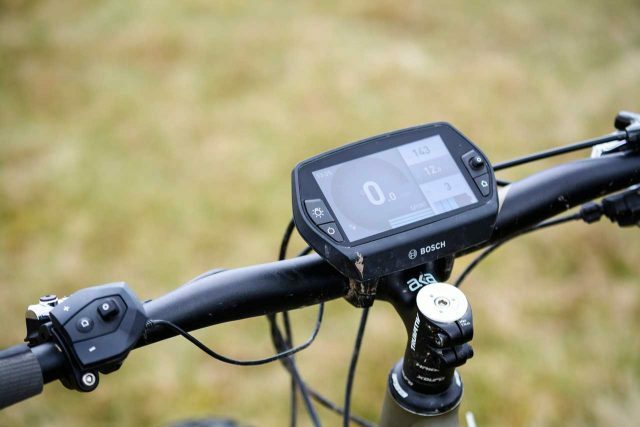 Sellers can continue to sell e-bikes legally without further paperwork (unless they are ‘twist and go’ type, in which case type approval is required). – However, sellers are advised to consider carefully the implications of this. 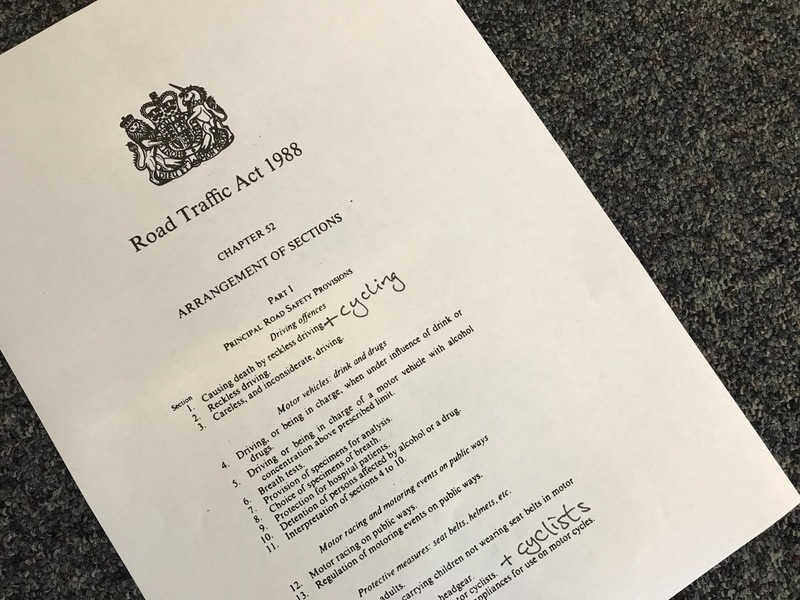 As a minimum, sellers should make customers explicitly and fully aware of their legal obligations, and the possible consequences of using such a bike without registration etc. In the event of an accident they could be found to be riding an unregistered and untaxed motorbike, and riding without an approved helmet. As well as fines they may also receive points on their driving licence. Also, any insurance they may have is likely to be invalidated, leaving them open to potential liabilities to third parties if, for example, they injure someone while riding. Thank you Greg. I have ham fingers today. Perhaps “Induro” could be an incredibly bureaucratic new kind of race.